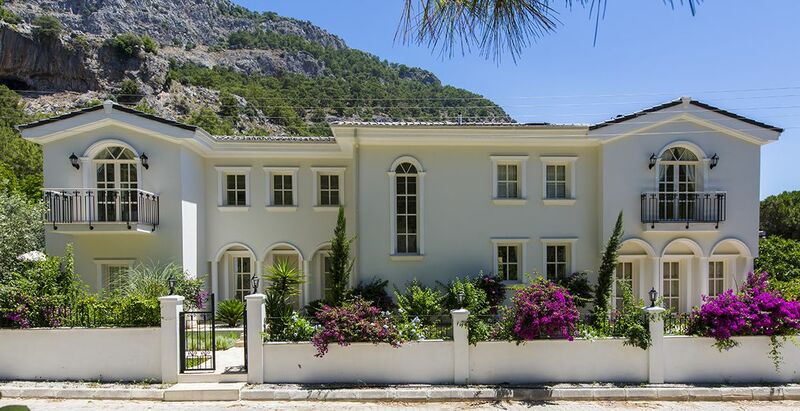 A beautifully appointed villa with sea view. Sumptuously decorated inside and out, complete with large pool, lovely garden and spacious accommodation. Sleeps 10. An elegant villa with touches of glamour. The interior and exterior are beautifully designed and include a swimming pool and terrace as well as a separate garden with day bed. Sleeps 8. 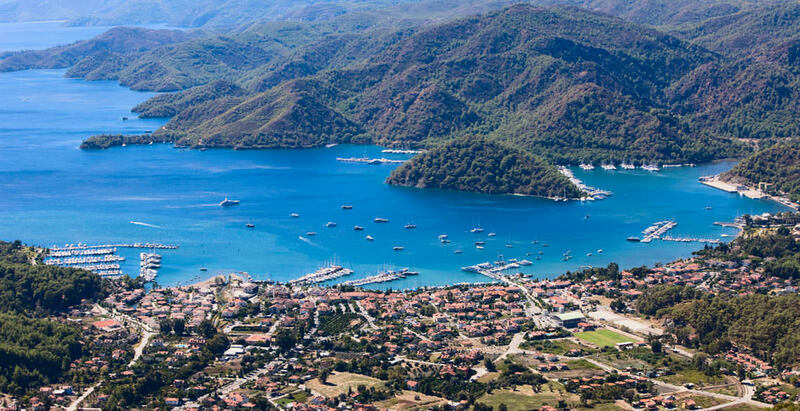 The “St Tropez of Turkey”, Gocek is a very special place. A lovely, largely car free coastal village, it is so beautiful it has been designated a national park and is jealously protected by the Turkish people. The rugged coastline location offers our guests a range of wonderful holiday pursuits- from diving off rocks into crystal blue waters, to renting a gulet for a leisurely sail. 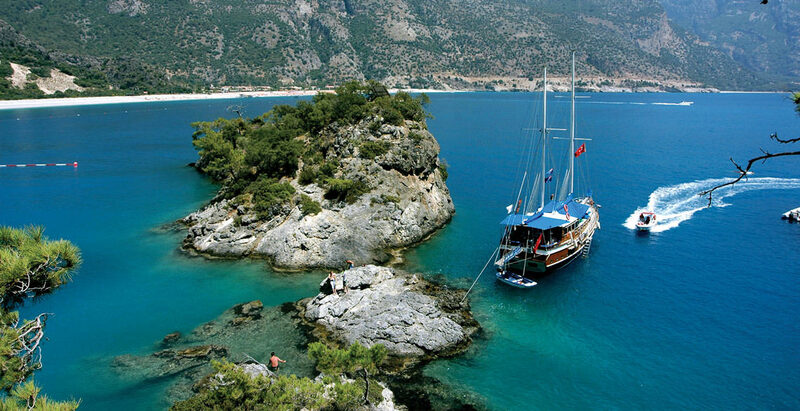 Gocek is known throughout Turkey for its fabulous yachts harbouring the rich and famous. Our villas, Villa Daidalos and Villa Artemis, are snuggled away on the edge of the village in the peaceful rural mountainside just a short 15 minute walk away from the bustle of Gocek itself. We are veterans of villa holidays and judging by our visitors’ book, we know what our guests want to ensure they have a truly fabulous time. 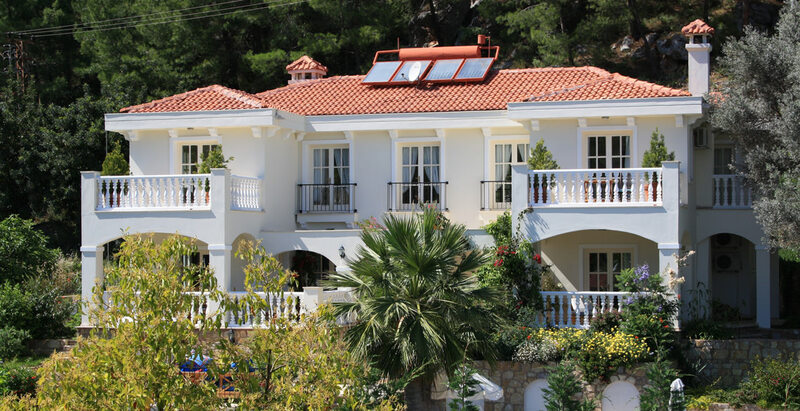 The villas are sumptuously interior designed and are extremely well equipped. We do so much more than just hand you the keys to the villa. For a start we employ an enthusiastic team who provide a service way beyond any of the most exclusive holiday companies in Turkey. Not only do we provide a daily cleaner and experienced babysitter but we currently have two very different, but excellent cooks for you to choose from if you can’t face the kitchen whilst on holiday. We pride ourselves on our generous welcome hamper with enough food and drink for a light lunch or supper snack. We make sure you are provided with plenty of essential items such as loo paper, kitchen roll, washing up liquid and our very own postcards and stamps. We even deliver freshly baked bread to your door every morning… compliments of the villa. If you are looking for 5-star luxury and a slice of real Turkish life, Villa Daidalos is perfect… we had a fabulous stay and I’d have absolutely no hesitation recommending Villa Daidalos to anybody. Villa Daidalos is as lovely as it looks in the photos… So peaceful and secluded but 10 minutes walk and you can find yourself eating fish on the waterfront… A fantastic week in a villa I cannot recommend highly enough. My wife and I travelled with our 12 week old son for our first family holiday and we were not left disappointed… On arrival at the villa, you cannot fail to be impressed… the photos on this site don’t really do it justice. The villa itself is beautifully appointed, with fantastic attention to detail… Congratulations to the owners on creating a wonderful place that feels like a home from home but with all the hassle and domestic drudgery removed!